Freddie Hailey's Western Carolina was trying to prepare for their 1986 first-round regional opponent in Miami. It's just the weather wasn't cooperating, The Miami News wrote. "Playing Miami, I'm sure we'll be staying pumped," Hailey told The News. "We're excited to get the games going. We're the Cinderella team here." That Western Carolina was there at all, could be traced back in no small part to Hailey. The team had two .400 hitters and Hailey was one of them. For his four years on the Western Carolina team, Hailey remains in the top 10 in five different categories, including batting average, stolen bases and RBIs. Hailey's pro career, though, didn't go as well, lasting the same amount of time, four seasons. He made it to AA, but no higher. Hailey's pro career began in 1987, taken by the Yankees in the 19th round of the draft, out of Western Carolina. The Yankees also took him after his performance in the 1987 NCAA Midwest Regional, where he picked up 10 hits as his team beat the Big Ten and SEC champions, according to the school. He also hit a two-run home run in a win over Mississippi State. With the Yankees, Hailey started at short-season Oneonta, hitting .252 over 64 games. He moved to single-A Fort Lauderdale for 1988, but it was a shortened season with 35 total games played. That April, Hailey hit a walk-off sacrifice fly for a Fort Lauderdale win. For 1989, he was back at Fort Lauderdale, for 93 games. He hit .293, with 29 RBIs. 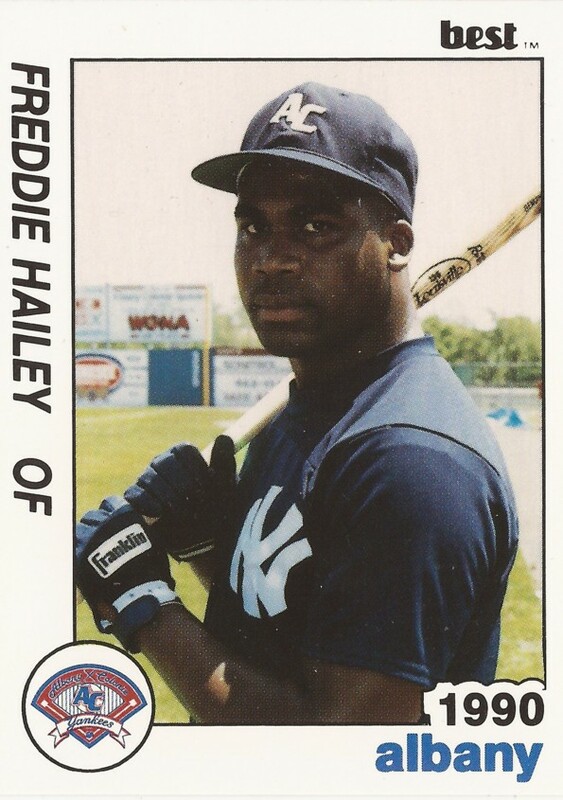 He moved to AA Albany to start 1990, hitting a two-run double in one May game. In all for Albany, Hailey played in just 31 games hitting .261, before moving mid-year to the Brewers and high-A Stockton. He finished out the year and his career there, hitting .176. Hailey has since gone on to be honored for his time at Western Carolina. In 1999, he was inducted into Western Carolina's Athletics Hall of Fame.